Pros: When we talk about the battery life of a smartphone then we always talk in numbers that never go beyond 5 and 6 hours. Motorola has changed the game completely by adding not 3 not 6 but 10 more hours to the talktime. The handset has a massive 3300 mAh battery that gives you more than 17 hours of talk time. In spite of this, this power house is extremely thin very pocket friendly. The dual core processors make it very zippy and the display is very good. The tight security features this phone offers give a competition to Blackberry so is suited for your business needs as well. Cons: The phone is so advanced yet it only promises of an Android 4.0 upgrade and not includes it in the package. This can disappoint the customers looking for the latest software inclusions in their handsets. The camera is full HD capable but the weird blue green tint it has can be repelling for some. The battery is huge and therefore it takes longer to get fully charged. You will also not be able to remove the battery. Another thing is that like many other phones, the huge built of this one is not for those with small hands. 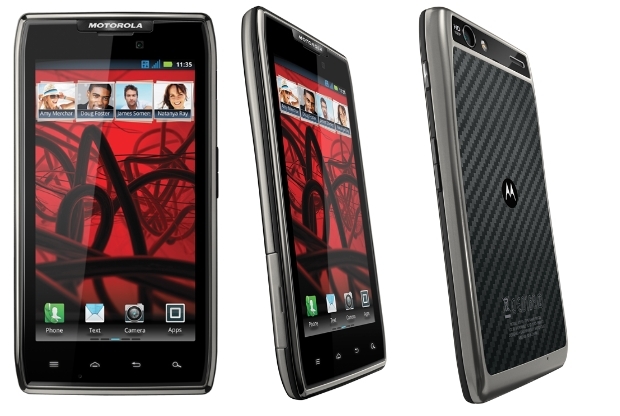 The Motorola RAZR Maxx with its Pros is creating quite a rage in many markets where it is outdoing even Apple in sales. So overall if you are a heavy smartphone user then definitely go for this handset.